Friday’s USMTS Hunt for the Casey’s Cup at the Rapid Speedway in Rock Rapids, Iowa, was cut short by rain prior to heat races hitting the track, and the event has been postponed to next Thursday, Aug. 30. The program will feature a complete show of USMTS Modifieds, the Iron Man Challenge featuring Holley USRA Stock Cars and Out-Pace USRA B-Mods, and the Cook Racing Supplies USRA Hobby Stocks. 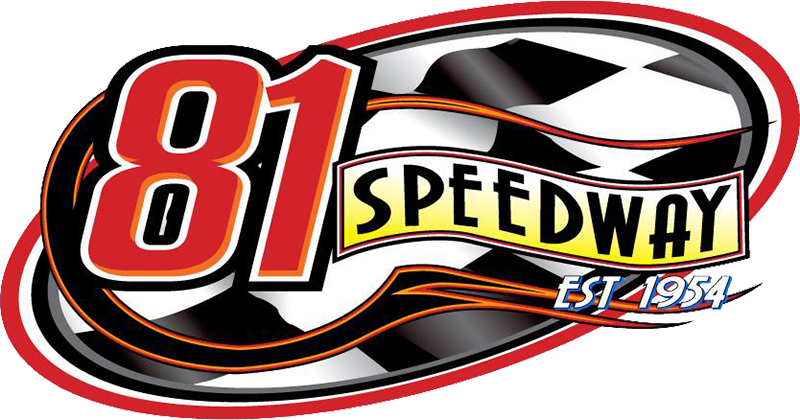 Action will kick off with the make-up feature for the Iron Man Stock Cars that was rained out June 1 and again Friday night. With two races still on the agenda for this weekend, the Park Jefferson Speedway in Jefferson, S.D., hosts the 8th Annual USMTS River City Rumble on Saturday with the high-flying action of the USMTS Modifieds plus the Iron Man Challenge featuring Holley USRA Stock Cars and Out-Pace USRA B-Mods, plus the lightning-fast Nebraska 360 Sprint Car Series vs. MSTS Sprint Cars also in action. Pits open at 4 p.m. and spectator gates open at 5 with hot laps at 6:20 and racing to follow. Tickets are $19 in advance or $25 on race day for adults. Seniors ages 70 and up are $17 in advance or $23 at the gate. Kids ages 6-16 are $5 in advance or $10 day of show. Children ages 5 and under get in for free. Pit passes are $40. Coupons good for $2 off adult admission available at Casey's General Stores locations in Elk Point and Vermillion plus the South Sioux City location in Nebraska and the Akron, Le Mars, Merrill, Moville, Sergeant Bluff and Sioux City locations in Iowa. To find the location nearest you, visit www.caseys.com. Cory Crapser and his No. 07 Snickers-sponsored modified will meet ‘n’ greet fans from 11:30 a.m. to 1 p.m. at the Casey’s General Store located at 100 S. Derby Lane North in Sioux City, S.D. The Park Jefferson Speedway is a semi-banked 4/10-mile dirt oval located off of I-29 at exit 4, then 0.2 mile east to SR 105, then 1.8 miles north (48426 332nd St., Jefferson, SD 57049). For more information call (712) 202-5540 or visit www.parkjeff.com. On Sunday, another classic is expected when the Casino Speedway in Watertown, S.D., hosts the USMTS for the tenth time to celebrate the life of the track’s “Chairman of the Board” at the 3rd Annual Sandy Benson Memorial presented by Riddle’s Jewelry and Jurgens Printing. Fans can expect to see USMTS legend Jon Tesch as he dusts off his No. 14 GRT Race Cars mount and makes his annual start where he’ll be shooting for his third victory in the summertime classic at his hometown track. The pit gate opens at 4 p.m. and grandstands open at 5. Hot laps begin at 6:30 and the green flag waves at 7 p.m. Admission is $20 for adults, kids ages 8-13 are $5 and children 7 and under get in for free with a paid adult. Pit passes are $35.